When it comes to trucks, Ales Loprais is the most experienced and currently the most successful Czech driver. He finished 3rd on his debut back in 2007, when the race was still in Africa. Since then, he participated in 12 Dakar Rally races, won 9 stages, finished 5 times in overall TOP 10, took the 4th place overall in 2015 and his last stage to date came at this year’s American adventure. “I like to remember every single race, no matter how they went. Though obviously, it’s better to remember those more successful ones. I actually had two debuts at Dakar Rally. In 2006 I was a navigator for my uncle Karel and then a year later I started on my own for the first time. And then it all moved to America,” says Ales Loprais about his beginnings. And since 2006, Ales Loprais did not miss a single Dakar Rally race, which gives a total number of 12 races. Their workshop at Frenstat pod Radhostem was busy until the final moments. But on Tuesday the Instaforex Loprais Team began their trip to Le Havre, France to get on the ship and do some administrative tasks. For Ales Loprais it all begins on 6th January, when he, his Spanish navigator Ferran Marco Alcayna and a chief mechanic Petr Pokora start in the 41st Dakar Rally race. There will be 10 stages awaiting for their Tatra with number 507. 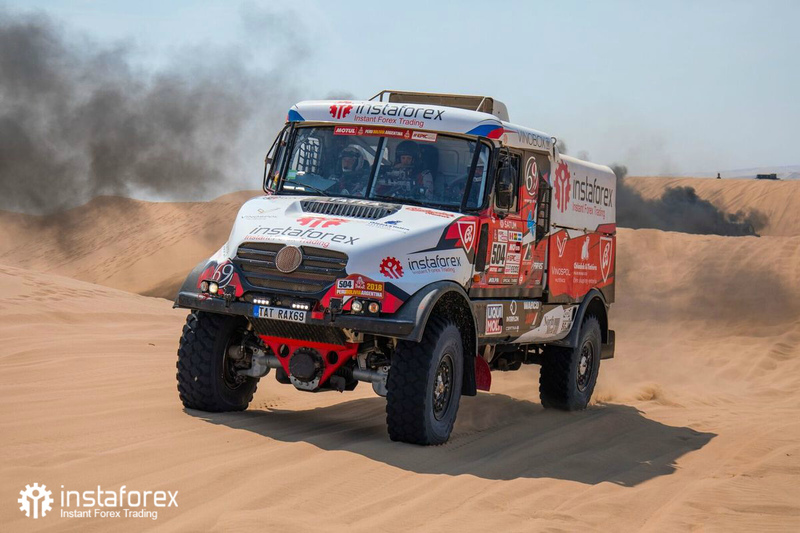 Pre start of Rally Dakar 2019 by Instaforex Loprais Team Tatra truck full gas.